Congresswoman Anna Eshoo answers a question about immigration and border security. Congresswoman Eshoo discusses healthcare and the Affordable Care Act. Congresswoman Eshoo talks about affordable housing and homelessness. 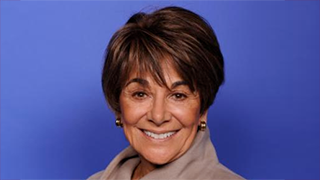 Congresswoman Anna Eshoo hosted this Access Live event for constituents in the 18th Congressional District of California. The congresswoman discussed the current end-of-year session and upcoming changes in the new Congress. Other specifics topics addressed include illegal immigration, climate change, and the Affordable Care Act.